Democrats running for re-election in the 2018 midterms are being advised to not speak about the issue of immigration as consultants admit the zero-enforcement, open borders positions of the Democrat Party are unpopular with swing voters. In a memo obtained by the New York Times, left-wing consultants with the Center for American Progress and the think tank, Third Way, advised Democrats running for election to spend “as little time as possible” talking about the immigration issue facing the nation, where more than 1.5 million immigrants are admitted to the country every year. As Breitbart News exclusively reported, House Majority Leader Kevin McCarthy (R-CA) has given the GOP ammunition to run on the issue of immigration for the midterm elections, introducing legislation that fully funds President Trump’s proposed border wall on the U.S.-Mexico border. 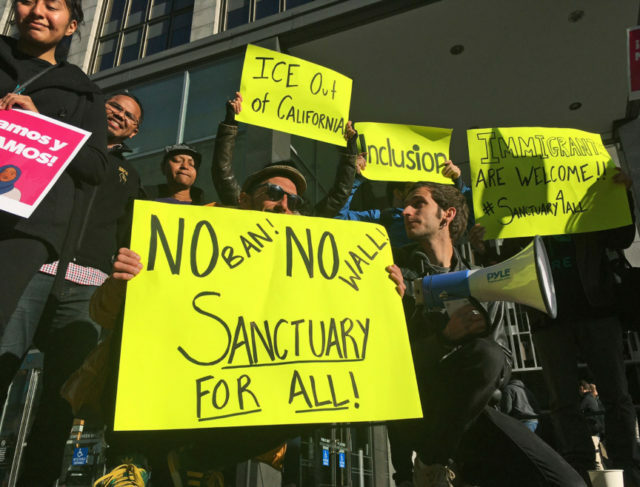 Meanwhile, Democrats have geared up for the 2018 midterm elections by running on a platform that would abolish the Immigration and Customs Enforcement (ICE) agency, which would end all immigration enforcement across the United States. Three in four swing voters oppose the Democrats’ “abolish ICE” initiative. Despite Republican efforts to run on the issue of uninfluential tax reform, Trump’s immigration reduction plan has sweeping support among not only Republican voters, but swing voters and black Americans. In an April Harvard/Harris Poll, nearly 2-out-3 supported reducing legal immigration levels to the U.S. In May, 52 percent of swing voters opposed allowing big businesses to import more foreign workers to compete against their fellow citizens for coveted blue-collar and white-collar jobs. 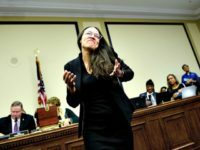 Most specifically, 61 percent of swing voters in battleground districts who said immigration has changed their community claimed those changes are making life “worse” in America. A similar CBS/YouGov poll in June found that 55 percent of swing voters in battleground districts believed the border wall is a “good idea that can probably be completed” or a “good idea that should be tried, even if it can’t be completed,” as Trump wants.